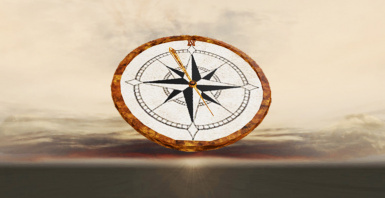 After picking up a coin, gem or arrow from the world, automatically picks up other coins, gems and arrows near you. 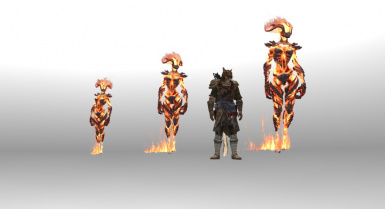 Adds spells to mark, and then summon your NPC friends. 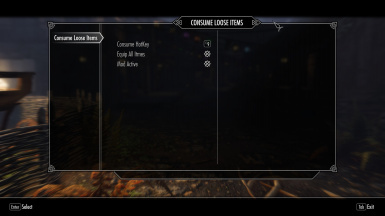 Allows you to consume potions, food and ingredients from the world, rather than storing them in your inventory. 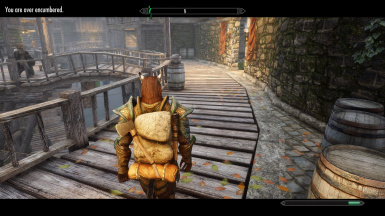 Allows you to choose items and amounts for merchants to sell in game. Customizable with the MCM. 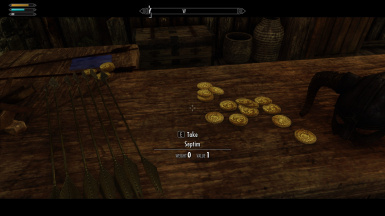 After picking up a coin or arrow from the world, automatically picks up coins and arrows near you. Allows you to mark and name locations to later teleport to via menu. Up to 1000. Allows you to run, using the sprint key, while over encumbered. Will drain stamina and reduce speed based on amount over encumbered. Customizable. 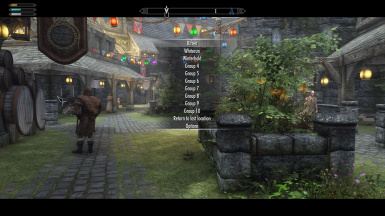 Allows you to customize weapon speed by type. 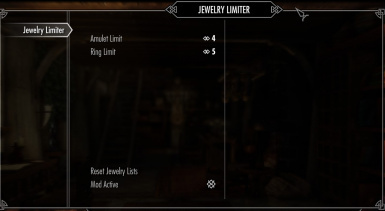 Allows you to equip multiple rings and amulets, and set a limit for how many in the MCM. 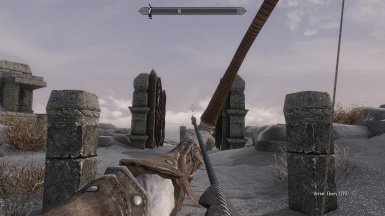 Allows you to customize the draw speed of your bows. 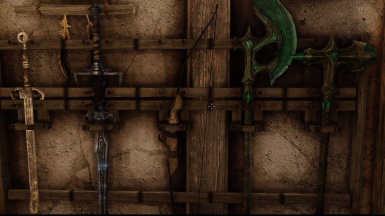 Works for bows added by other mods too. 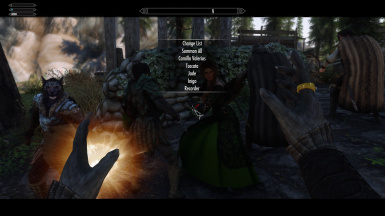 This mod adds a Compass that you can craft and equip. 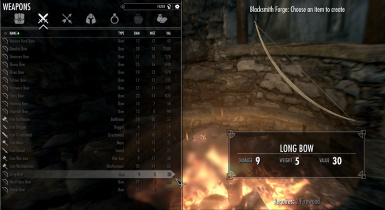 This mod unlocks bow crafting recipes based on your archery skill level, so you don't have to be a smith to craft bows. It also adds crafting recipes for most vanilla bows. 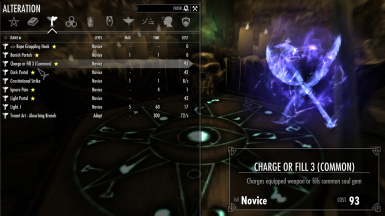 Adds 5 spells that allow you to charge your equipped weapon or fill your soul gems. 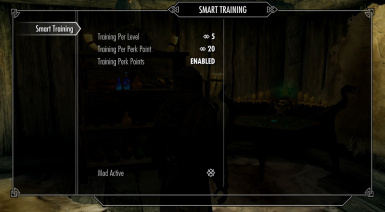 Some tweaks I made to WinterFlame's Smart Training mod, which makes your training sessions carry over to the next level if you don't train the max times allowed on your current level. 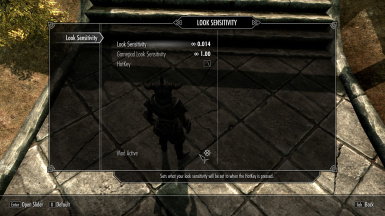 Allows you to toggle between two look sensitivities with the press of a button.